Hello there! My name's Amy, i'm 20 and live in England,UK. I'm new to swap bot, but it looks so exciting, hopefully i'll get the hang of it quickly. I am an illustration student at university, hopefully one day i will be a tattoo artist. As you may have guessed i love to draw, i love to look at drawings, i love to collect drawings.. I just love it. I also love to travel, so i enjoy receiving little letters from around the world, it's a wonderful experience. â¤ Hot Beverages like Herbal/ Fruit Teas, Hot chocolate. â¤ Pressed Flowers or Seeds. â¤ The colour Pink, Particularly salmon or baby. â¤ Stickers! â¤ Confetti. â¤ Washi Tape. â¤ Glittery Things. â¤ Anything with Sharks on it! â¤ Michael Jackson related things. â¤ Gremlin related things. â¤ Postcards. â¤ Photographs. â¤ Things specific to your country. â¤ Coins. â¤ Stamps. â¤ Illustrations. â¤ Zines. â¤ Bath Items! â¤ Vegan Treats â¤ Learning your story! â¤ I really love well presented letters and packages that are done with lots of thought, i think they're beautiful! Strictly no leather or fur or anything else made from animals. Comment: the PC has arrived. Sending it on tomorrow. Comment: Thanks for the Michael Jackson card! I didn't know he was a veggie--I am too! Comment: Thanks for the Greta Garbo card--she's one of my favorites! I've seen several of her movies, and I think Ninotchka and Flesh and the Devil are my favorites. Comment: Thank you so much for the lovely Prayer Flag, and for joining the swap! I really appreciate the time and effort that you devoted to this. And thanks for explaining the symbol. It is perfect. When I have the equipment to take a pic I'll send to you. Comment: Thank you for the nice postcard, I also love tortoises so it's a great choice :) Belated happy birthday to you! Comment: Thank you for the super cool shaped owl postcard! It's so unusual, and I really like it! Comment: Thank you so much for your fantastic zine!!! Comment: What a nice way to show your playlist. Thanks for sharing. Comment: The best!! Wow, what a lot of work you went to for this unique zine! I love it! Very entertaining and well done. I feel so lucky to have it. Thanks. Hi How your having a great day. Here's a little Spring graphic to brighten up your Monday. Sorry I was a day late. 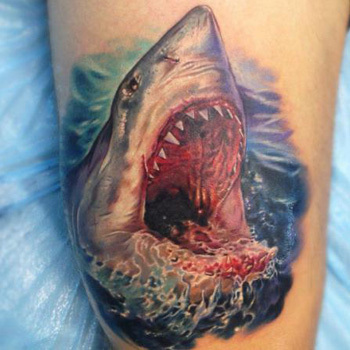 Hi, I really enjoyed looking at shark tattoos trying to find one i can post for you. Since you like sharks thought I'd find one in your goal orientation field. Good luck with your artwork and dreams of becoming a tattoo artist. Hello there, I'm one of your partners for the Happy Profile swap. Hello! 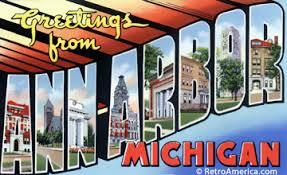 Since you like to travel I thought I'd send you a virtual postcard/tour of my town! I like traveling but I don't get to do much of it. Never been to England! You should tell me a bit about where you live :) and favorite places you've been! 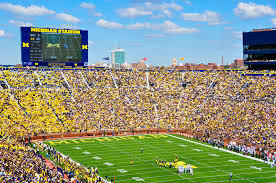 Ann Arbor is home to the big house American football stadium. One of (if not the) biggest stadium in the country. Our team is the wolverines! I really don't follow sports much but the the town transforms during football season. So many people wearing the colors maize and blue. And soooo much traffic hahaha! 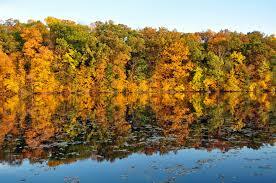 This is the mighty Huron River! Quite beautiful <3 I go out kayaking and paddleboarding when the water is nice. When the leaves change color is a great time to go out. The river can get pretty busy with college kids going for floats and families out in their canoes but it's always fun to go out. This is downtown during the night. 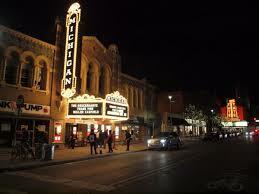 The historic Michigan theater! My boyfriend and I were just downtown today for a walk and some window shopping. I've seen a few movies here. It's nice to go but can be expensive :/ there's another local theater just down the block called the state theater and I've gone there more often. Ann Arbor likes art. Every year there's a huge art fair. It takes 3 days to walk around and look at everything! 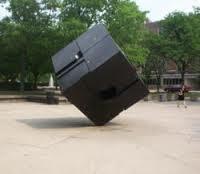 This is the cube, a bit of interactive art that's on campus. People can spin this around! And a lot of people like to climb it!